RC Radio: Power Pyramid @Geburah, (coming soon) additional comments. The Power Pyramid at Geburah takes the converted spiritual energy from Chokmah and turns it into raw will-power to be used by the individual in physical reality. This energy is volatile and needs direction, focus, and alignment to be used properly, otherwise karmic backlash can ensue. This will-power has no alignment but is given alignment once consciousness wields this power in a direction. 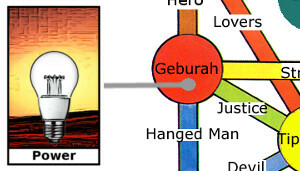 Geburah is ruled by the planet Mars and as such is full of strength. Strength, if you think about it is another word for will-power. This place is good to visit when you are looking to gather strength (or will-power) to make changes in your life that may not be easy or may have considerable resistance against it. Khamael is the Archangel that presides in Geburah, and you will also find him here as the Power-Pyramid Administrator. He can help you direct your will with harmony and caution you when you need to hold back your will. Timing can be everything with exerting your will over a situation. The Obelisk collects the energy from Chokmah and then channels it into the Power Pyramid, which then transforms this energy into will-power and strength. The energy of Geburah is easily applied to your reality and is abundant. 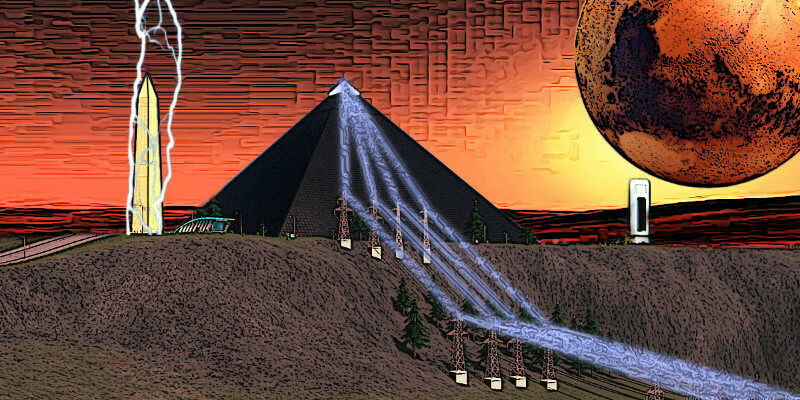 The white structure to the right of the pyramid is a consciousness upload site. You step in there and part of your consciousness is uploaded to a spiritual cloud full of shared consciousness. After you leave your consciousness is returned. If you wanted to compare the energy in Chokmah and the energy in Geburah, the energy in Chokmah carries higher potential but much lower amount. It runs out easily. 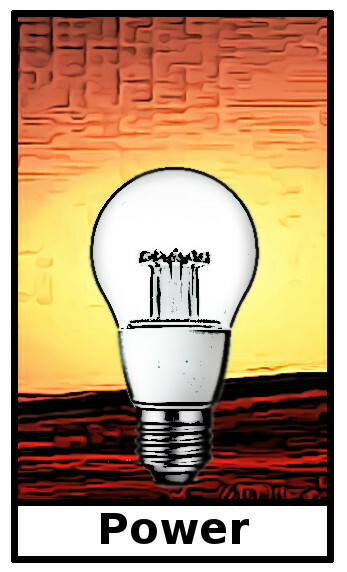 The energy in Geburah is more robust in that a little bit goes a long way, but the energy in Geburah is not suited to higher ideals, mental plane energy, reflection, and creativity. The energy in Geburah is like the energy of a fireman or policeman. It can break down walls and barriers, protect the weak and innocent, destroy or build. Second level up inside the Power-Pyramid is a room called "Great Moments in Human History." Visit here to learn about how greatness is sometimes ordinary people doing what they love. Dragons and Chariot races have been spotted here as well.